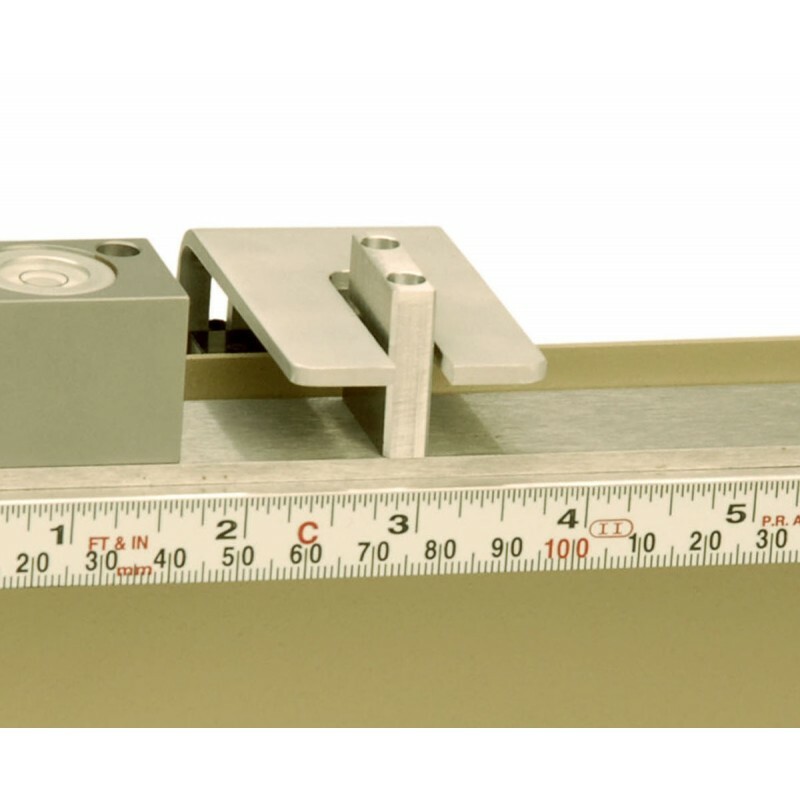 Evaluate flexural rigidity and drape characteristics of fabrics by determining stiffness via cantilever bending. 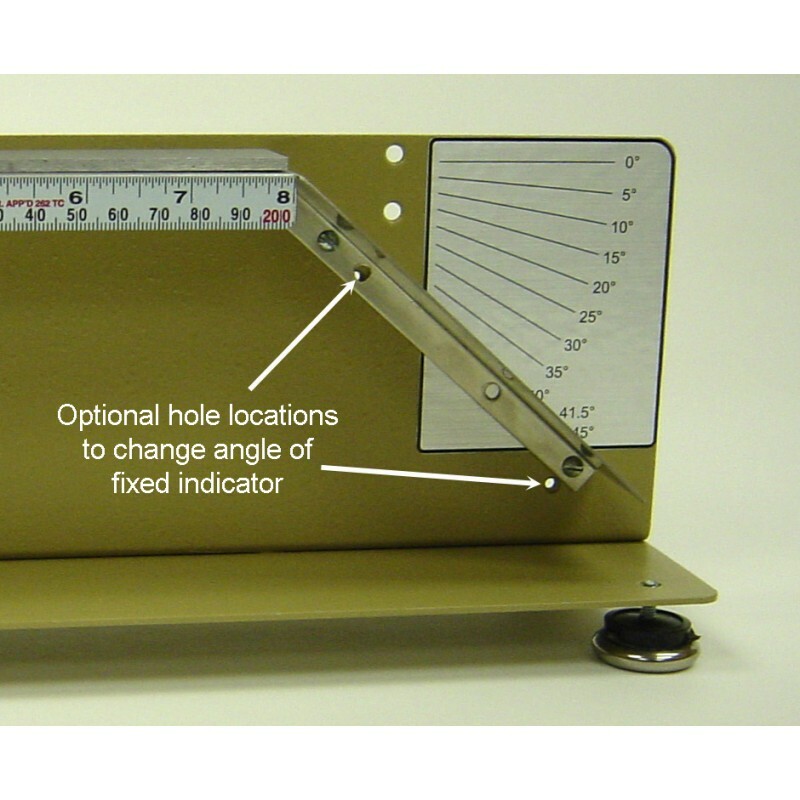 Test in accordance with ASTM D1388 and ASTM D5732. 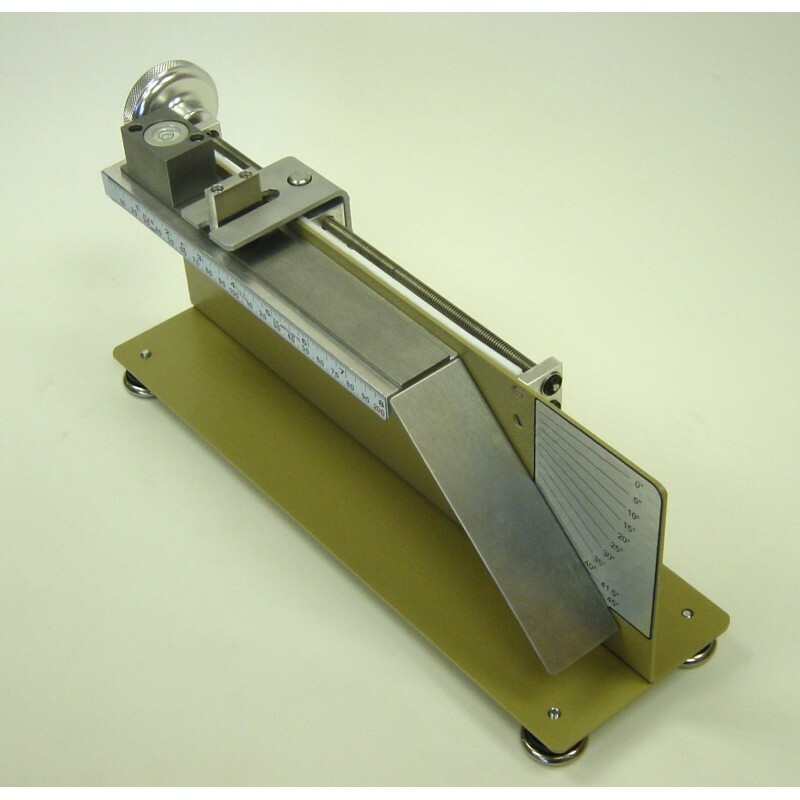 Hand crank option provides an economical solution for controlling rate of test speed. Unique push button release on slide assists with quick test set-up. 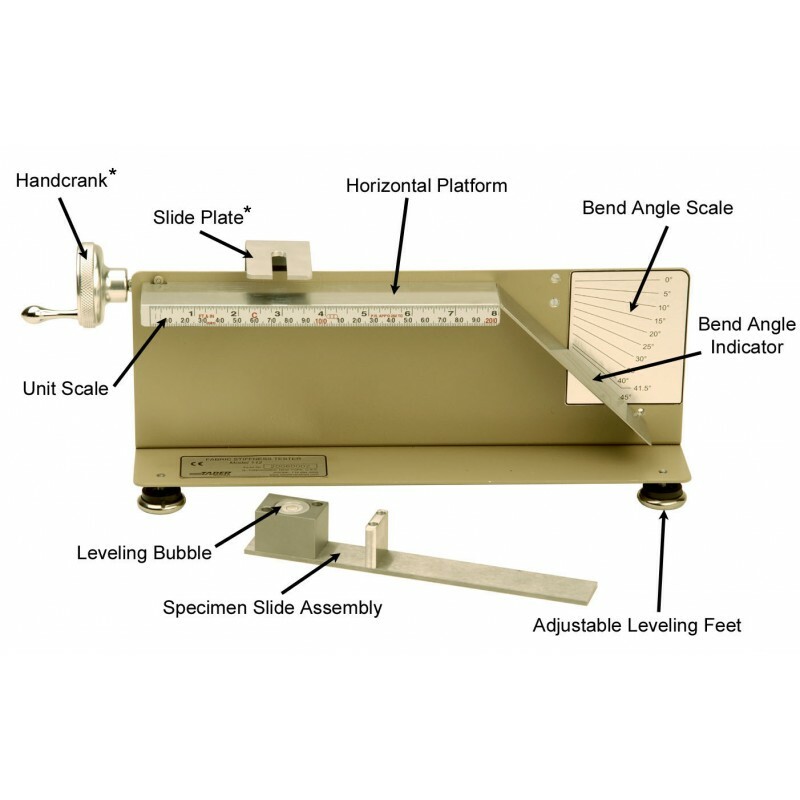 The Fabric Stiffness Tester provides a quick and accurate method of determining stiffness properties such as flexural rigidity of most textile fabrics according to internationally recognized test standards such as ASTM D1388. Ideal for testing textile fabrics (e.g. woven; layered; pile; knitted; napped), this instrument has been utilized to evaluate the stiffness properties of blankets, air bag fabrics, protective clothing, geotextiles, etc. Fabrics may be untreated or treated, including those that are heavily sized, coated or resin-treated. 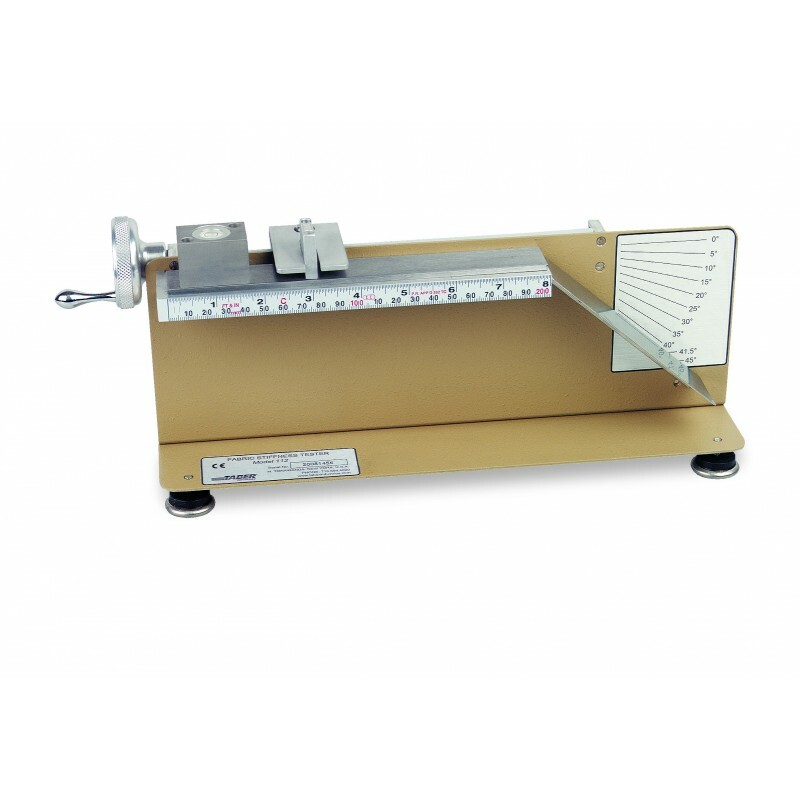 Taber's Fabric Stiffness Tester can also be used to evaluate leather, paper, plastic films, and other flexible sheet materials.